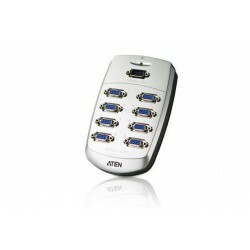 One video input to 8 video outputs. 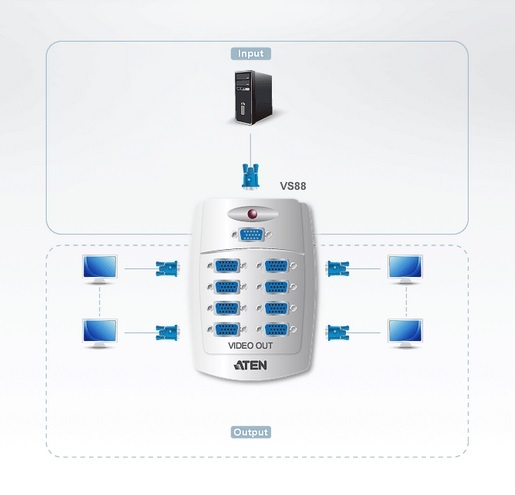 Cascadable to 3 levels - provides up to 512 video signals. Supports up to 200 MHz bandwidth. Long distance transmission - up to 65m (210'). 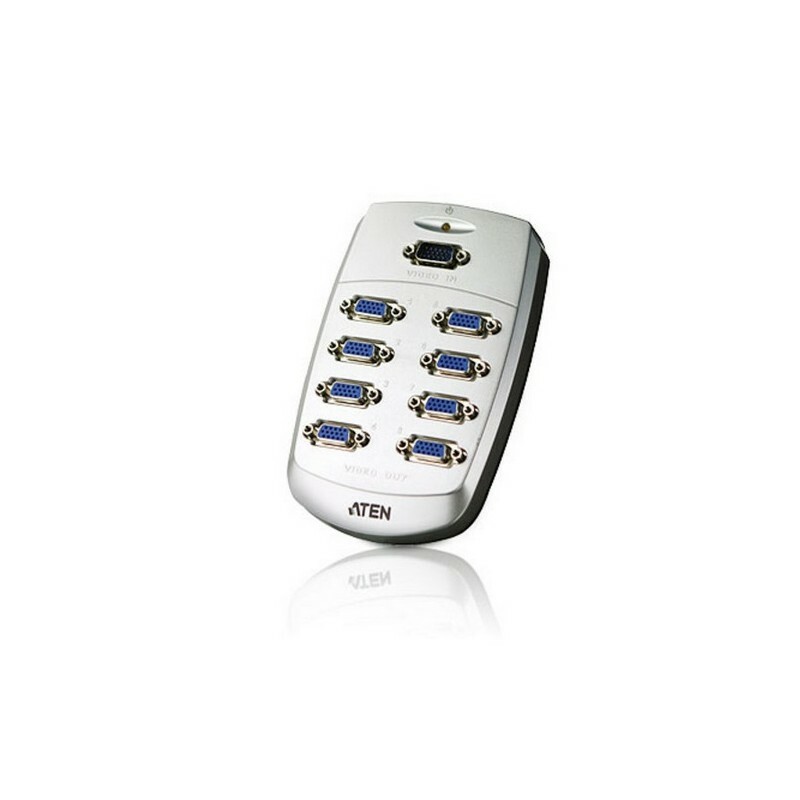 High video resolution - up to 1600 x 1200. DDC, DDC2, DDC2B Compatible (Port 1 only). Compact design with convenient topside connection, lays flat on a desktop or mounts on the wall. Supports VGA, XGA, SVGA, UXGA and multisync monitors.